A gift for a magical little lady in your life! 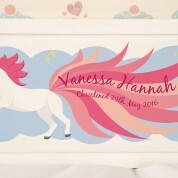 Our unicorn print is a wonderful addition to a unique little girls room to celebrate her on their Christening, Baptism, Dedication, or Naming Day. 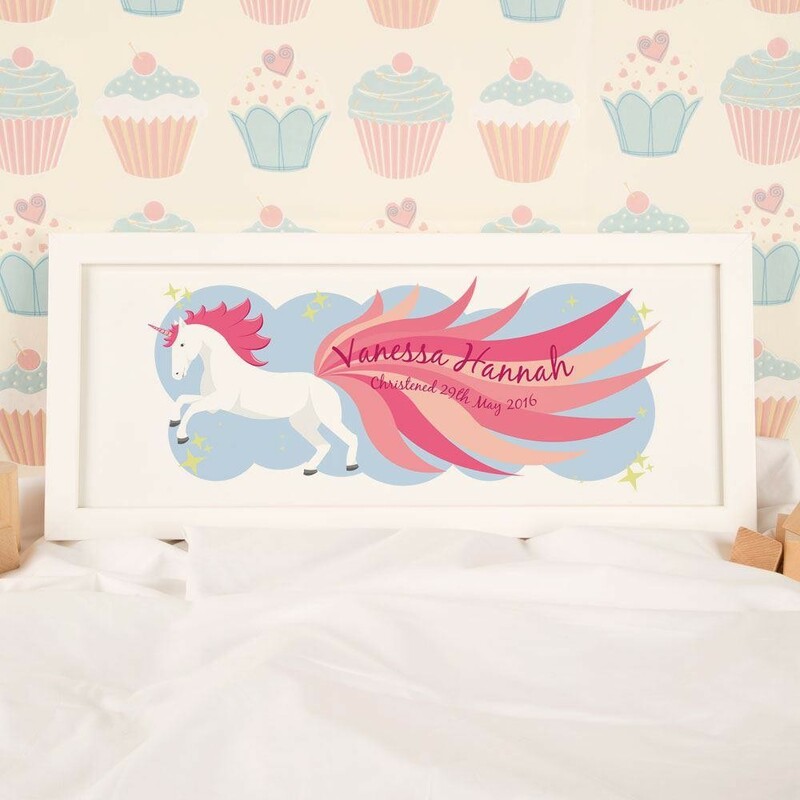 The print features a pure white unicorn running through the twinkling sky with her bold pink mane and tail trailing behind her. The print is made even more special with the little girl's name and dedication details across this magnificent creature's tail. 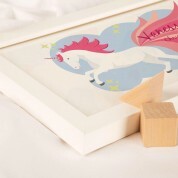 The white frame is included with your print, and a hanging kit is also included. It is sure to stand out on her bedroom wall. Remember, you're never too young or old to believe in unicorns!